The Palestine Scholars Association has said that Israel declared the beginning of its demise when its Knesset enacted the so-called Jewish nation-state law. “In addition to its previous crimes which include killings, genocide and ethnic cleansing, [this law] is considered the biggest crime this illegitimate state have committed over the past decades,” the association said in a statement. The association affirmed that Israel took such step when its leaders realized that there were an American cover, European and Arab connivance, and international neglect as well as the Palestinian Authority’s security coordination with it. “This despicable declaration must provide an incentive for all people of Palestine at home and abroad, especially in the 1948 occupied Palestine, to announce all-out civil disobedience in all institutions and sections of this racist and detestable state, which is widely hated around the world,” the association urged. 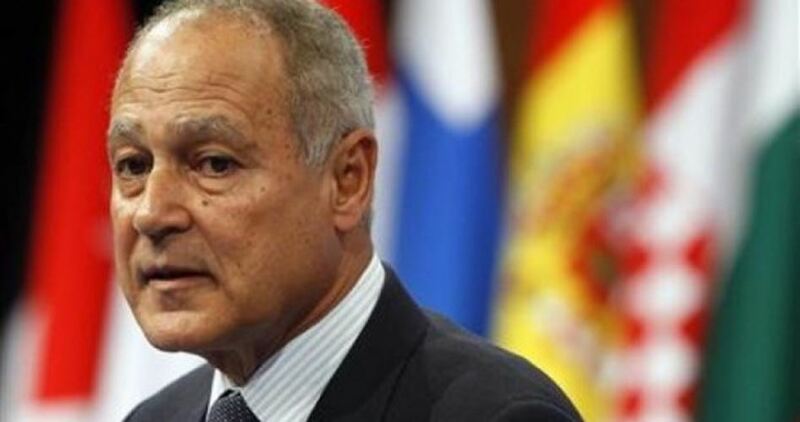 The association also called on all religious institutions in the Arab and Muslim worlds, especially al-Azhar al-Sharif and the Organization of Islamic Cooperation to assume their responsibilities in this regard and urge all concerned governments to confront this dangerous racist law. Last Thursday, the Knesset passed a racist bill that officially defines Israel as the national homeland of the Jewish people and asserts that only Jews have the right of self-determination in the country (the 1948 occupied Palestinian territory). This bill, which became a law, stipulates that “Israel is the historic homeland of the Jewish people and they have an exclusive right to national self-determination in it”. The racist law also includes clauses stating that a “united Jerusalem” is the capital of Israel and that Hebrew is the country’s official language. The bill also strips Arabic of its designation as an official language alongside Hebrew, downgrading it to a “special status” that allows its continued use within Israeli institutions. A ceasefire announced by Hamas largely held Saturday after a wave of deadly air strikes across the Gaza Strip sparked by the death of an Israeli soldier shot along the volatile border. Israel did not confirm the deal announced by Gaza’s rulers, which went into effect around midnight Friday reducing fears of a wider conflict. Israel’s government and army rarely acknowledge ceasefires with Hamas, but a military spokeswoman said civilian life should return to normal in areas next to Gaza. The Israeli army also said a tank struck a Hamas observation point east of Gaza City on Saturday morning, saying it was retaliation for an attempted border infiltration in northern Gaza. There were no reports of injuries in that strike and there was no major Israeli bombing campaign overnight or mortar fire from Gaza toward Israel. “With Egyptian and UN efforts, we reached (an agreement) to return to the previous state of calm between the (Israeli) occupation and the Palestinian factions,” Hamas spokesman Fawzi Barhoum said in a statement early Saturday. A senior Hamas official, speaking on condition of anonymity, told AFP the deal involved “the cessation of all forms of military escalation” including Israeli air strikes and Hamas mortars and rockets. The source said that balloons and kites attached with incendiary devices, which Palestinians have been floating over the border for months to spark fires inside Israel, were not included in the agreement. Israeli politicians have been calling for a fierce response to the kites and balloons, which have caused damage amounting to millions of shekels (hundreds of thousands of dollars). Israel’s army and Prime Minister Benjamin Netanyahu’s office declined to confirm a truce was reached. “All we can say is that there have been no incidents or Israeli attacks in the Gaza Strip since the last wave of airstrikes on Friday night,” a military spokeswoman told AFP. The United Nations urged all sides to step “back from the brink” of war after months of increasing tensions. GAZA, PALESTINOW.COM — Israeli occupation army on Saturday morning bombed a Palestinian resistance site south of Gaza city in a first violation of the Egypt-brokered ceasefire announced Friday evening. Eyewitnesses said that Israeli tanks fired two missiles at a resistance post in al-Zaitoun neighborhood, south of Gaza city, with no injuries reported. A spokesman for the Israeli army claimed that Israeli tanks bombed a Hamas post after a group of Palestinians attempted to cross the border fence east of Gaza. Hamas Movement on Friday evening announced that a ceasefire was reached with the Israeli side. In a brief statement at dawn Saturday, Hamas spokesman Fawzi Barhoum said that following Egyptian and UN efforts, a ceasefire between the Palestinian resistance and the Israeli army had been restored. A state of cautious calm has prevailed since 10:00 pm on Friday after Israel halted its aerial and artillery attacks on Gaza but maintained its drone overflights. Israeli tanks and warplanes on Friday attacked several targets in Gaza, including the Great March of Return, killing 4 Palestinians and injuring 120 others. The Israeli army late Friday announced that an Israeli soldier was shot and killed by a Palestinian sniper near Gaza border. Since the start of the Great March of Return protests on 30th March, 155 Palestinians have been killed, 8 of whom are being detained by the Israeli army, while 16,500 injured, including 390 in critical conditions. Hamas, which won the last free Palestinian elections held in 2006, hit back after op-ed by Trump aides blames it for plight of Palestinians and urges it to abandon resistance. An op-ed by Jared Kushner, US President Donald Trump’s son-in-law and adviser, shows that American officials are “mere spokesmen for the Israeli occupation,” a Hamas spokesman said on Friday. “Kushner and Greenblatt are adopting the Israeli narrative, and their aggression against Hamas points to the contempt of the American government,” said Hamas Spokesman Sami abu-Zuhri. 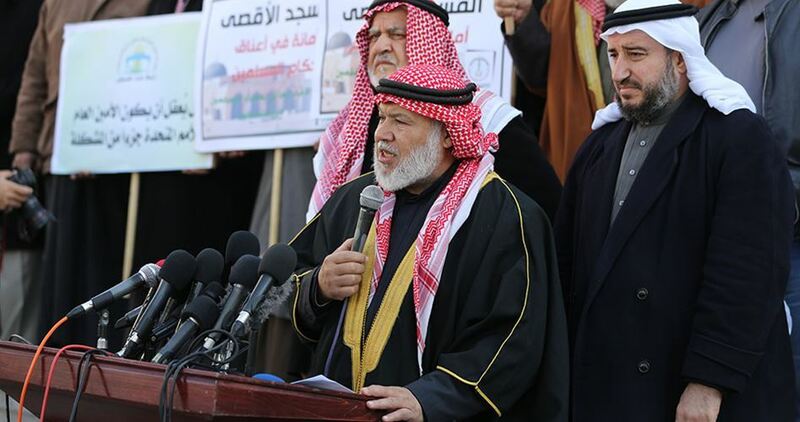 The opinion article published in the Washington Post called on Hamas to take clear steps towards peace if it wishes to receive economic assistance, referring to US call for the Palestinian movement to stop resisting the Israeli occupation. “Life could significantly improve in short order for the Palestinian people if Hamas allowed it,” read the op-ed, which was also credited to Jason Greenblatt, Trump’s special Mideast envoy and David Friedman, the US ambassador to Israel. The article emphasises that all Palestinian sufferings would be ended if they stopped fighting for their right to end the Israeli occupation and return to their homes. Jared Kushner, Trump’s senior adviser, Jason Greenblatt, special US envoy to the Middle East, and David Friedman, US ambassador to Israel, gang go together to justify Israeli aggression on Gaza residents. The relationship between the three men predates their work together in President Trump’s administration, as they have ties to the worlds of New York real estate and law. “The nightmare of Hamas’s leadership is continuing and needlessly prolonging the suffering of the Palestinian people in Gaza,” they said, ignoring that Hamas is a Palestinian movement that won overwhelming majority in the last free Palestinian genera elections held in 2006. There’s no good option, they said: Either the government must change or Hamas must recognise the occupation state of Israel. The officials were not shy about their opinion on the matter. “Seventy years after the founding of Israel, it would be wise for Hamas to acknowledge that the existence of Israel is a permanent reality,” they wrote. In their piece, which was dedicated to attack and distort Hamas reputation, they ignored the 70 years of Zionist occupation of Palestine, the 12-year-old strict Israeli siege and the daily aggression on the Palestinians, the last of which was yesterday when the Israeli forces killed four Palestinians and wounded 210 others. The Palestinian Liberation Organisation’s Refugee Department called for Palestinian refugees who fled the Syrian conflict to register their names in order to facilitate their return to the camps in Syria, the Safa news agency reported yesterday. In a statement, the PLO said the move only affects refugees who moved to Lebanon and Gaza and who desire to go back to the refugee camps in Syria. Registration in Lebanon would be arranged by the Palestinian embassy in Beirut and in Gaza would be arranged by the PLO’s Refugee Department. The deadline for registration has been set for Thursday. The move, the PLO said, is part of a previously prepared time frame which would see all Palestine refugees return to their camps in Syria. Future announcements would be made regarding the return of refugees in other Arab states. The Head of the Popular International Committee to Support the Gaza Strip, Essam Yousef, warned of the humanitarian consequences of the Israeli authorities’ closure of the Karm Abu Salem (Karem Shalom) border crossing on the population of Gaza. “The catastrophic effects of closing the only commercial crossing by the occupation will be so comprehensive that the lack of food and basic life necessities will affect young and old people in the besieged Gaza Strip,” Youssef said in a press release. The occupation controls the arrival of food, drinks and medicines to Gaza residents. If it could, Israel would deny them the oxygen they breathe. He stressed that the health sector, which is already reeling from the 12-year siege which Israel has imposed on the Strip, would be unable to survive the latest closure. Yousef stressed that “the Israeli occupation’s closure of the Karm Abu Salem border crossing is a form of collective punishment. He called on the international community to put pressure on the occupation to stop the crimes against humanity that “it commits without deterrence”.